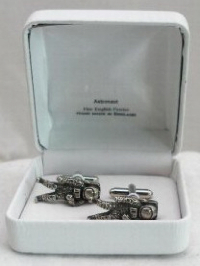 Amazing high quality very detailed cufflinks feature a NASA astronaut. They are hand made in England from fine English pewter. Each cufflink measures 1" (2.5 cm) approx.